Tiger Woods did it. He climbed back to the top of the mountain, completing what is arguably the greatest comeback story in the history of sports on Sunday at Augusta National. With a final-round 70, Woods won the 15th major championship of his career, as well as his fifth green jacket. He’s now one green jacket shy of Jack Nicklaus’ record total of six, and three majors shy of Nicklaus’ all-time major record of 18. To say the sports world thought this was impossible not that long ago is the understatement of the century. But everyone couldn’t be happier to be wrong. 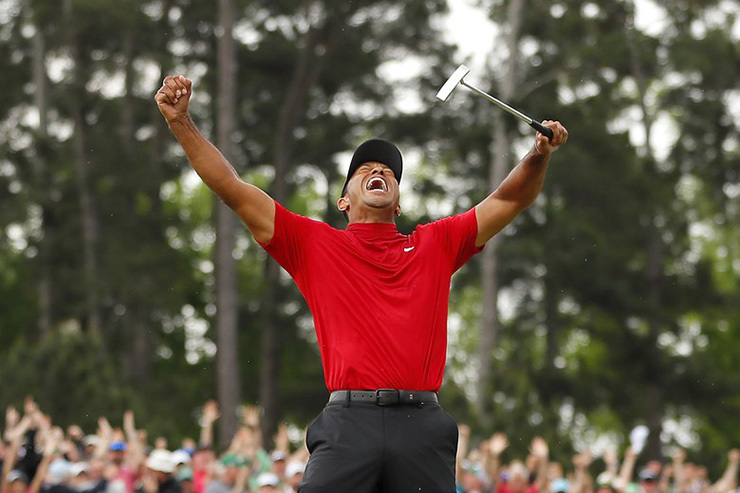 Woods’ victory has yielded congratulations from sports figures, political figures, pop culture figures and everyone else you can think of on social media, all of them offering their tribute to the 43-year-old. During a time when folks can’t seem to agree on anything, literally everyone and their mother is thrilled for the 15-time major winner. Here’s a sampling of the endless amount of social media reactions to Woods’ win at the 83rd Masters. Historical day in golf. A few years ago I didn’t think this would happen. Never doubt greatness 🐐 Congrats @TigerWoods – Masters Champion again. I have to type this one more time, just so I'm sure I believe it: TIGER WOODS JUST WON THE MASTERS.